Quite sometime now since I posted my favourite chicken here na...really? Caution!!! 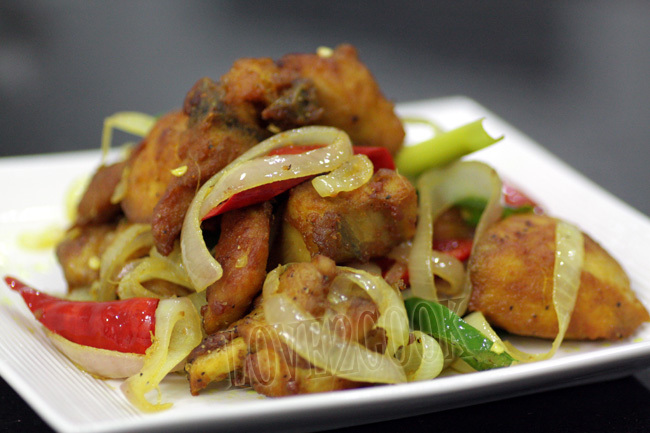 This is a very simple chicken dish...anyone can do it, lol! Goes very well with hot plain rice! Marinate ingredients A for 30 minutes or longer. Deep fry the chicken pieces in oil until cooked (I like to fry them little darker). Keep aside. Reduce oil in wok to the minimum. Saute ingredients B for few seconds and throw in the fried chicken pieces. Check seasonings. Leave the chicken to coat well with the ingredients for 5 minutes. Ready to serve. * U may also put additional blackpepper. mas suka ayam goreng berkunyit dimakan ngan nasi goreng...sedapp kan love..
:D still have maruku for me? Love, ur ayam goreng is so simple yet sooo yummy looking! rasa nak amik pinggan nak join makan sekali... n thanks for the lovely award. wow..yummy..it looks very tempting... congrads on ur award and thanks for sharing it with us. u ni mmg malaysian la..resepi paling I suka!! love.., mintak sepinggan ayam tu..! sedapnya.. I am still in my HECTIC Mode.....uwaaaaaaaaaa!! 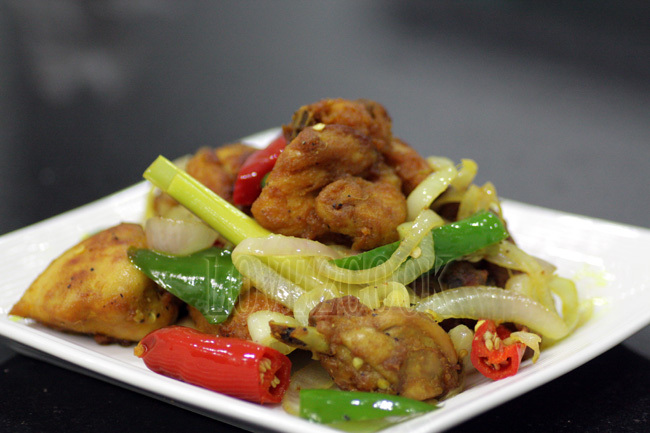 Ayam goreng kunyit.....waaaaaaaaa cedapnyer...adn mudah tuuuuuu! wow looks yummy n tempting! wov platter is so tempting ki eat jst now r pic are also attractive. Thanks for your lovely award. 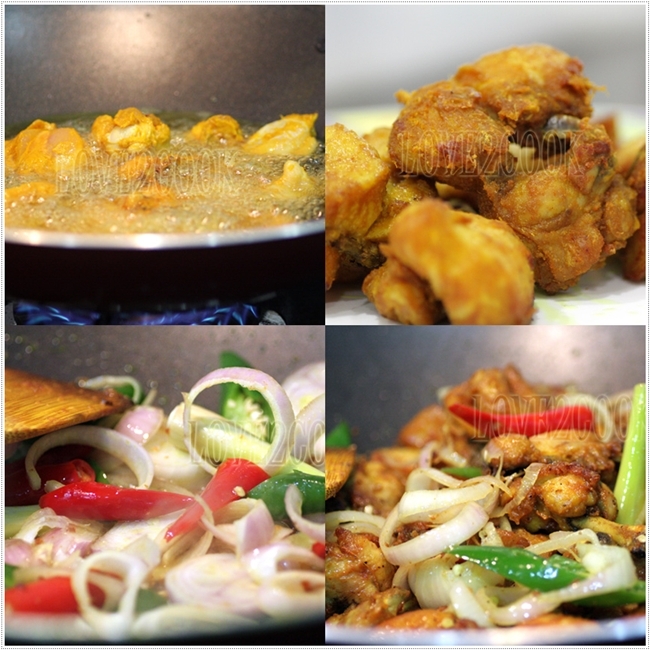 All the ingredients in this chicken dish are my favourite, look just so delicious ! simple dish like this is actually a hit in my family, thanks for sharing. Very tempting turmeric chicken, sounds as a prefect starter..
Yummy2....sedapnyer ayam grg tu,bg seketoi bleh? Akak ngn bby sihat2 semo. Hey...first time here...what a lovely space...lovely kids....and yummmmy chicken. This is quick and I believe it is delicious too. I love chicken. Love, tq for the award..will soon update. Looks yummy! I love tumeric chicken. This would be lovely with nasi lemak. I like cooking chicken this way too but I must have something side gravy dish to accompany it. On your question, suggest just skip the milk powder as the batter is already thick enough. Furthermore I added 1 cup Yoghurt to the recipe which should be enough to offset it. Thanks so much for the award dear.. I love your chicken recipes. Every one of them makes me drool! This reminds me of a dish I used to have from a hawker stall when I was at uni - nasi ayam goreng, or was it nasi goreng ayam? I am always confused. Order one way you get the fried chicken and plain rice. Order another way and you get nasi goreng with ayam! Anyway, the chicken here looks exactly like it. Must try, yummy.